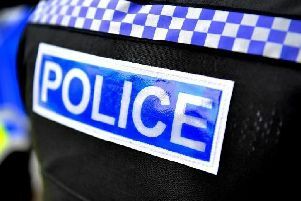 Plain clothes officers are part of a ‘huge amount of action’ taken by Sussex Police to tackle drug problems in Brighton, a senior officer said on Friday (May 18). He was responding to serious concerns raised by police and crime commissioner Katy Bourne about drug dealing and drug use in the St James’s Street area. She aired those concerns having spoken to traders and people living in the area. Describing the strength of feeling as palpable at the St James’s Community Action Group AGM, Mrs Bourne said: “A business owner who has businesses in Charles Street and Old Steine said she felt that the area was lawless. “She said she had considered relocating her business, she talked about frequent drug dealers, people openly injecting and dealing drugs. “She even gave an example how at one point a person was waving a needle at one member of her staff. Other examples cited included drug dealing close to a bus stop used by children just a couple of streets away from Brighton’s police station in John Street. At the police and crime commissioner’s performance and accountability meeting Deputy Chief Constable Bernie O’Reilly said that action was being taken in the area. He said that for the past seven days plain clothes officers had been out and about stopping and searching people, taking action where they could. He added: “There are also the uniformed officers taking action, reassuring the public we are out and about. He urged people to get in touch, saying that the force took feedback seriously.